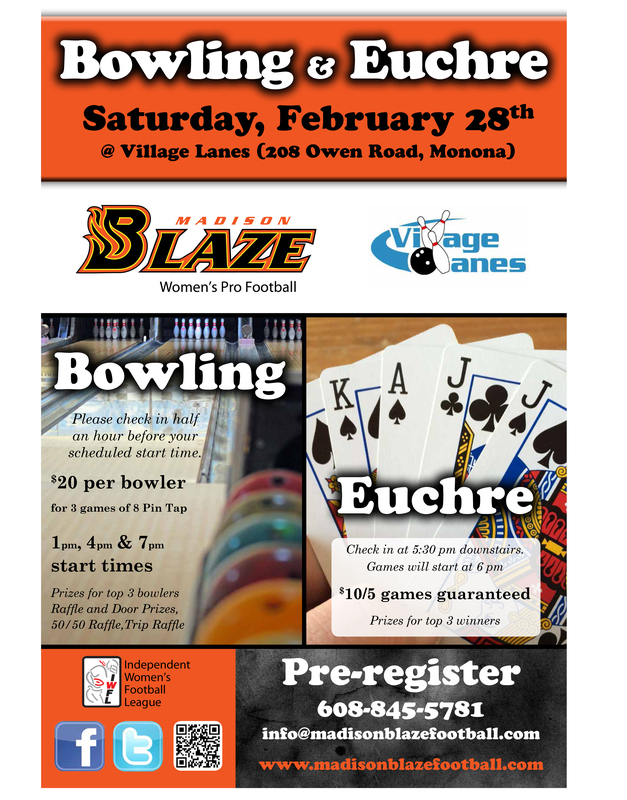 Annual Blaze Bowling & Euchre Event!! Mark your calendars! Check in 30 min before your scheduled start time. Prizes! Raffles! Don’t Miss Out! Blazin' Times - Meet Chelsea Alt!<< >>2015 Schedule!